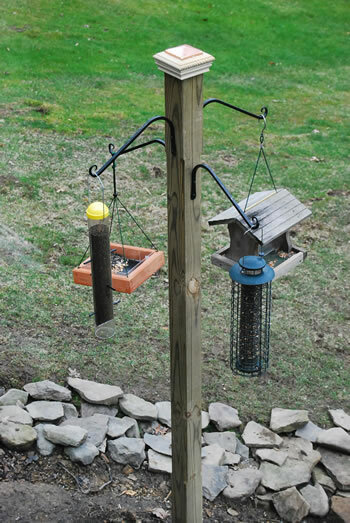 Put in a sturdy post and add bird feeders so you’ll have hours of enjoyment watching your feathered friends. Traditionally, spring isn’t the time of year to be thinking about adding a new bird feeding station in your yard, but I think it is the perfect time. Especially after reviewing the damage in my yard from the ravages of winter and from the squirrels! Yes those little marauders (and I say that with true affection) have reeked more havoc in my yard than the freeze-thaw, especially to my bird feeding area. Now I’m not an official birder, but I love sitting at my desk and looking out at my feeders from my window. I love feeding the birds and watching the wonderful world of hierarchy and chicanery. My feeding area consists of a metal pole that holds a couple of feeders. Nothing special but it has worked well for the past four winters and in the summers I have placed a humming bird feeder and a finch feeder. As much as I have enjoyed what I have, I still wanted to make a better feeding area for the menagerie of animals that visit my yard. Last week, the local deer in the area stopped by for a late night snack and I actually heard them crunching from my bedroom window. The first goal was to replace the existing metal pole with a steadier, more attractive feeding station. The pole has become a squirrel Cirque de Soleil. My little troupe of bandits takes an effortless leap from the ground and in an instant they are on top of the feeder, munching away. By the end of winter the pole has been bent several times almost down to the ground. Many times I have tromped out in the snow to bend it back into a semi-straight position. So this spring I decided to build a suitable feeder stand that fits in with the décor of my back yard. My plan is that it will look great with all the plants and flowers that will bloom throughout the summer and fall, and not require a ton of maintenance. By the way, I don’t intend on fighting my squirrels. In all the articles that I have read about squirrels, fighting them is a lost cause, so I’ve given up. I now call my bird feeders, animal feeders. This one is really quite simple to construct and takes little time. 1. Establish the height you want the feeder post to be making sure it is high enough to notice but not too high to reach the top and the feeders. I selected 7 feet by surveying the area in my yard that I wanted to place the pole. 2. 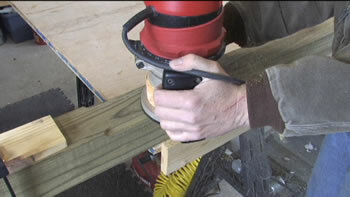 Cut the post to length using a circular saw. 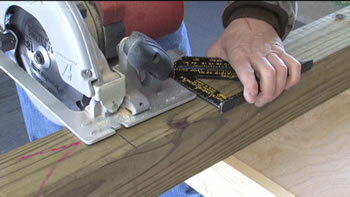 Two cuts will be needed because the circular saw blade will not cut through on one pass. Make one pass, turn the post over and make one more pass. Use a roofing speed square to guide my cut. 3. 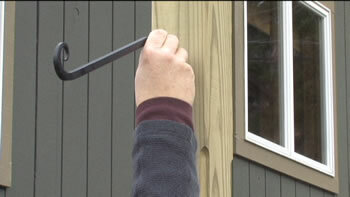 To add a little softness to the pole, rout a soft edge along all four edges of the post. Mark on each edge of the post a starting point 12 inches from the top of the post, and 18 inches from the bottom of the post. Use a stop block (I cut one out of scrap) at each end to make sure that the routed edge will match on each edge. Clamp the stop block into place and then set the router against the block to start your cut and run the router to the other end until it hits the other stop block. Turn the post over and route all four edges in the same fashion. Sand the post smooth with 120 grit sandpaper. The router has a bit with a small guide wheel that rests on the post and will guide the router along the cut without cutting to deep. You can set the post in concrete for a permanent placement, but I opted for a metal post holder that can be driven into the ground then the post attaches to the holder. This gives the option of moving the feeding station to other areas of the yard. 4. 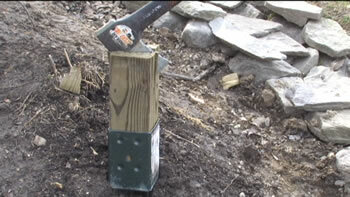 Place the post into position and drive into the ground using a small sledge-hammer; I placed the scrap end of the post into the holder to have something to strike the hammer on. 5. 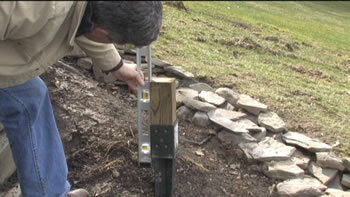 Check to make sure that the post is plumb by using a long level. 6. 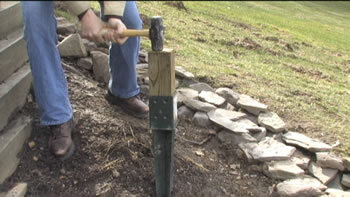 Remove the scrap post by cutting it away with an ax. 7. 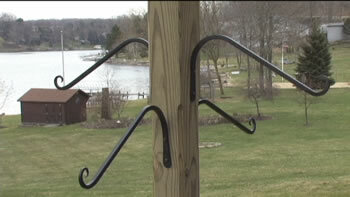 Place the bird feeding post into the post holder and secure using some galvanized screws. 8. All that is left to do is add your feeder holders; I selected four. 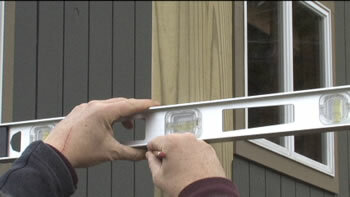 Using a tape measure and a level, draw lines that will establish the locations of the feeders. 9. Secure the holders using the screws that come with the hanger or you may use galvanized screws. My four hangers look great and are going to give me hours of entertainment once the feeders are in place. 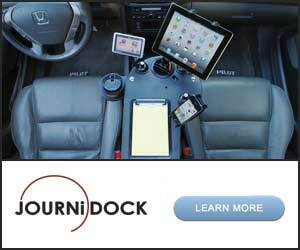 Hmmm, I can visualize full hanging planters of petunias, begonias or impatiens too, can’t you? 10. To cap off the top of the post, I added this post cap. Just set into place and secure with a little set screw. As I mentioned earlier, I’m not an expert birder, but I have read that you should place the feeders in an area that has some brush or bushes for protection of smaller birds from larger predators. If you place a feeder near windows, place an object in the window that will stop the birds from flying into the glass. Or, place the feeder close enough that the birds are not in full flight speed if they do happen to fly into the window. You should also keep up a feeding schedule during all months of the year. Make sure that you clean the area around your feeder a least twice month to prevent the seed from getting wet and moldy. This is unhealthy for your birds. Last, keep in mind that you’ll want to place your feeding station somewhere that is easy to access during the winter. If it is hard to reach you may lose your desire to restore feed and you don’t want to let down your winged friends. And speaking from experience, the minute the feed is gone, I can guarantee the squirrels will be knocking at your door! did you make a baffle for the pole? Hi Tim, no, at the time we created the project, we did not make a baffle.